Uncertainty over Brexit might be keeping the pound weak against the euro but it’s a different story across the pond. The pound has bounced back against the dollar and in February this year the £/$ rate rose above $1.41 for the first time since the Brexit vote in June 2016. Does this mean 2018 could be an ideal time to pick up a bargain in Florida? 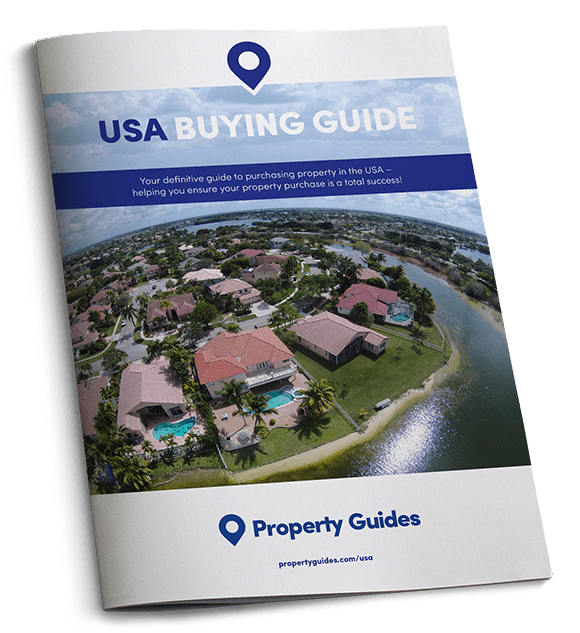 Britons shopping for a second home in Florida and any other US destination have seen their buying power rise by a meaty 12 per cent in the space of a year, thanks solely to a shift in the exchange rate. Rewind to the start of April 2017 and the value of the pound was struggling to rise above $1.25. At that level a $300,000 home in Orlando came with a Sterling price tag of circa £240,000. After rising gradually for more than 12 months, the exchange rate is now £1/$1.40, making the cost today of a $300,000 property around £214,000 to a UK buyer. A £26,000 difference is not to be sniffed at! Britons shopping for a second home in Florida and any other US destination have seen their buying power rise by a meaty 12 per cent in the space of a year. Let’s not forget that property prices in Florida are continuing on an upward curve. According to figures from Florida Realtors, in February the state-wide median price for existing single-family homes was $246,500, up 9.6 per cent on the previous year. Based on January figures, the state-wide median price for townhouse and condo properties was $179,500, up 7.2 per cent year-on-year. February 2018 marked the 74th consecutive month that the median sales price for both single-family homes and townhouse-condo properties rose year-on-year in Florida, said Florida Realtors. The median is the midpoint price of all sales, i.e. half the homes sold for more, half for less. Take advantage of the pound’s current strength against the dollar. It’s not only today’s British buyers who are benefiting from the stronger pound. When the dollar was stronger, it was common for savvy UK buyers to leverage their Sterling funds and opt for a US mortgage. This meant only a small amount of their pounds – i.e. the value of their deposit and any buying costs – was exposed to the poor exchange rate. Now that the rate has swung back in their favour, redeeming their US mortgage with pounds has got cheaper – and could make financial sense – for many of these buyers. Redemption – or prepayment – penalties are virtually non-existent in the US, even with fixed rate deals. Meanwhile, those who are not covering their mortgage repayments with dollar rental income can take pleasure in seeing the cost of their mortgage repayments in pounds fall with the weakening dollar. For British homeowners in Florida, a further benefit of the stronger pound are cheaper running costs. For British homeowners in Florida, a further benefit of the stronger pound are cheaper running costs, including the cost of trips out there with the family – even your pass for Disney and other theme parks will be less than a year ago! 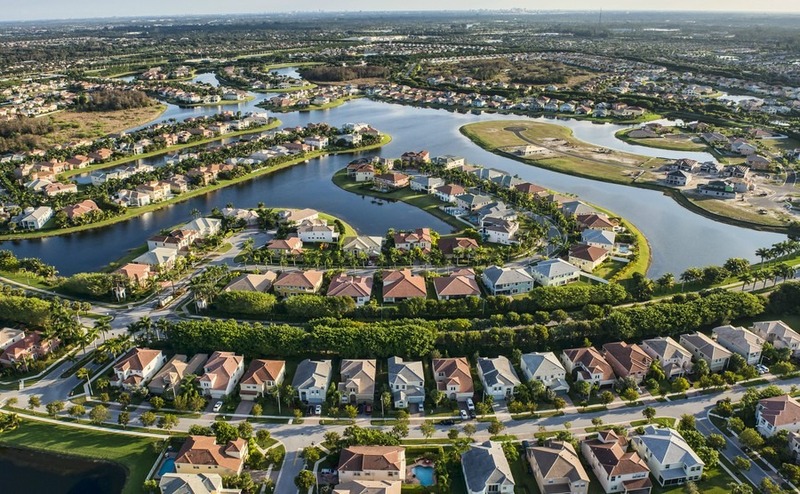 Most British buyers in Florida want a second home with proven rentals and head to the so-called ‘Golden Triangle’ or ‘Four Corners’ areas near Disney. Spreading northwards from Haines City to the fringes of Disney, these include the metropolitan hubs of Davenport, Kissimmee and ChampionsGate where – crucially – short-term rentals are allowed. Having Interstate 4 running through the middle of these areas makes access to Orlando city and the international airport quick. Wherever you buy, getting a good deal and buying under market value is often a question of good research and planning. Read our guide: How to Negotiate Abroad, to maximise your bargaining position. As a rule, established communities in these areas, which combine easy access to the theme parks and golf courses, typically offer the best rental returns. Popular ones suited to the traditional family second homeowner include Highgrove, Tuscan Hills, Solana, Calabay Parc, Highlands Reserve, Highgate Park, Tuscan Ridge, and West Haven. Disney World is no more than 20-25 minutes’ drive from each of these. Popular with owners who don’t want to be more than 10 minutes from Disney are the communities of Windsor Hills, Sunset Lakes, Emerald Island, Tuscany, Calabria, Indian Creek and Formosa Gardens. Or, if proximity to a quality golf course is top of your wish-list, consider a property in or near the golf communities of Reunion, ChampionsGate, Mystic Dunes and Southern Dunes.